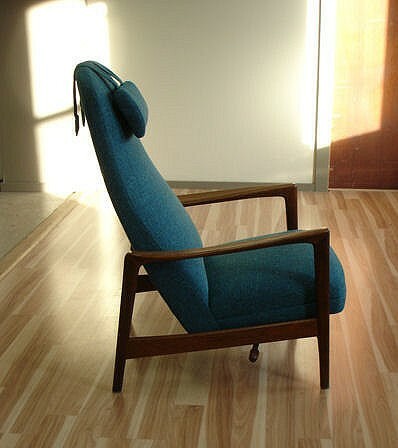 I love this Danish modern chair. Like so much Danish modern furniture, there is so much elegance and simplicity in it’s design and function. This chair reclines , and is very comfortable. The headrest on the back is adjustable by way of counterweights on the back of the straps. Form, function, beauty and comfort, doesn’t get better.